Bill Gates To Family: No iPods for You! 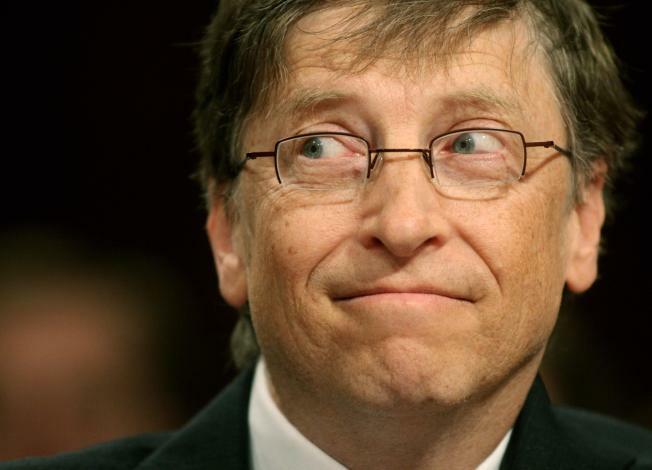 Bill Gates doesn't allow Apple products in his home, wife Melinda told Vogue magazine. Bill Gates may be the one guy in the world who isn't attached to his iPod - they're not allowed in his home. The Microsoft mogul prohibits his kids from owning Apple products, including iPhones and iPods, his wife Melinda Gatestold Vogue magazine this month. "There are very few things that are on the banned list in our household," said Melinda Gates, who has three children, Jennifer, 13, Rory, 10, and Phoebe, seven, with husband Bill. "But iPods and iPhones are two things we don't get for our kids," she said. Gates, 44, admitted that she would love to own Apple's addictive, application-loaded iPhone, despite her obvious loyalty to the Microsoft brand. "Every now and then I look at my friends and say, 'Ooh, I wouldn't mind having that iPhone,'" she told Vogue. Microsoft and Apple have been jockeying for the top spot in the tech world for years. Bill Gates, 53, recently stepped down from Microsoft to work exclusively with the Bill and Melinda Gates Foundation, which he co-chairs with his wife.